Joe's 3D Workbench: 10 Cold Hard Truths about owning a 3D printer. 10 Cold Hard Truths about owning a 3D printer. Finally back to editing, and what do you all get? Bad lighting and jaring jump cuts. Let's hope the content makes up for it. Not all 3D Printing is the same. Good designs must design for specific 3D printers. You probably aren't getting rich by owning a 3D printer. 3D Printing isn't always the answer. If you're not 3D designing, you probably don't need to be 3D printing. If you consider yourself a designer, get a 3D printer. 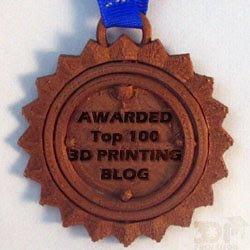 3D printing is SUPER COOL! And there's a little funny in there for everyone after the 9 minute mark to the end.